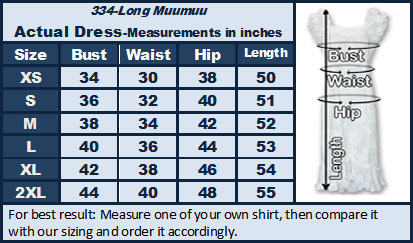 Today, the muumuu is loved by all sized women because these Hawaiian dresses are comfortable as well as attractive. They are still worn by many women who call Hawaii home, but are also seen around the world. Hawaiian Muumuus is also perfect for your tropical wedding on the beach.